Ifeanyu Ubah sues DSS – Royal Times of Nigeria. 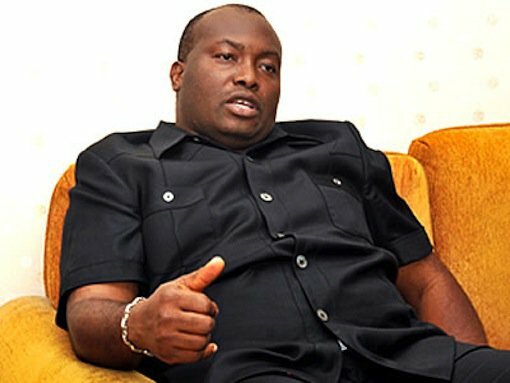 The Managing Director of Capital Oil and Gas Limited, Ifeanyi Ubah, in a turnaround twist has sued the Department of State Services (DSS) over claims that he has been unlawfully detained by the agency. Ubah’s lawyer, Ifeoma Esom, appearing before Justice Mohammed Idris of the Federal High Court, Lagos on Tuesday claims her client has been in detention since May 6. Justice Mohammed upon hearing the ex-parte application, ordered the DSS to bring the accused before him on May 12, 2017, in order to understand why the businessman should not be released unconditionally. The DSS claimed that it arrested and detained Ubah over what it termed an act of economic sabotage involving an alleged diversion of petroleum products worth about N11bn.